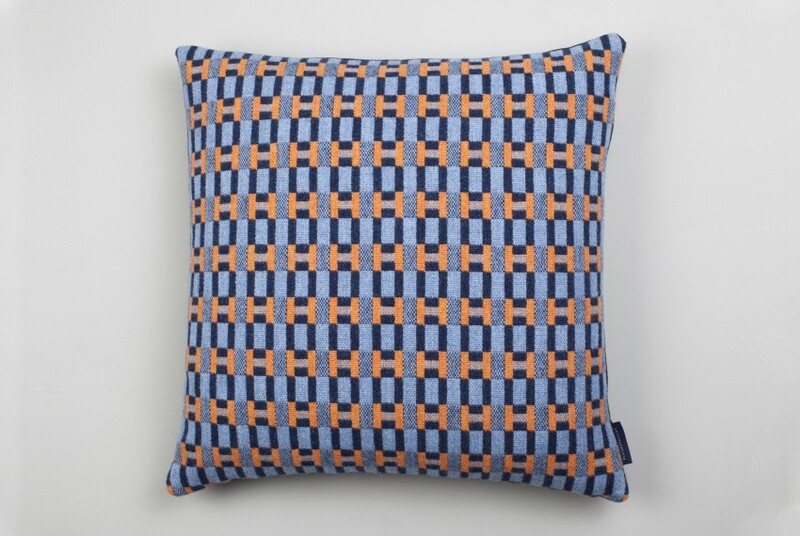 Brighten your home with the Paperchain Cushion, a cheerful design with a bold graphic edge. 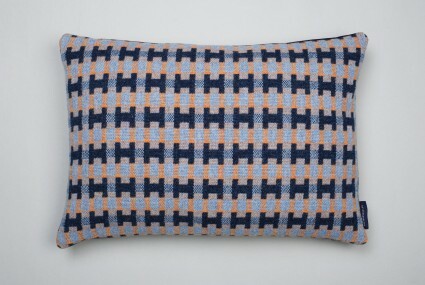 This contemporary cushion is made with high-quality materials and handmade by Heather Shields. 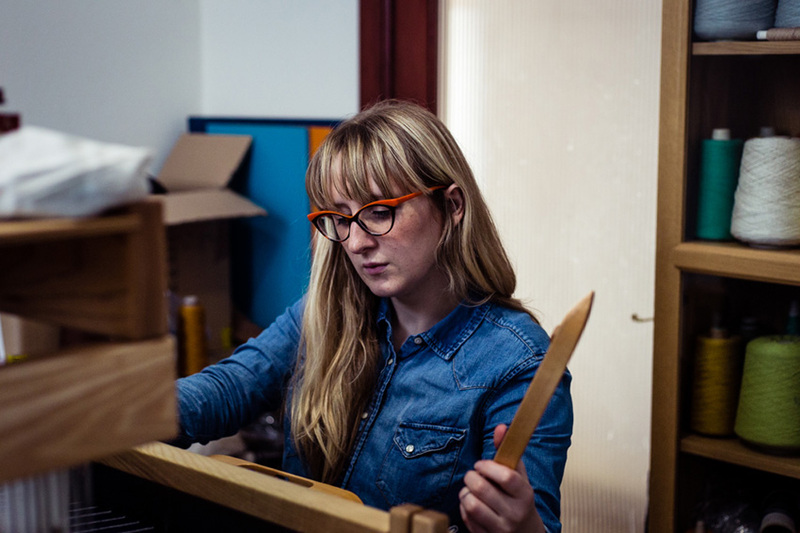 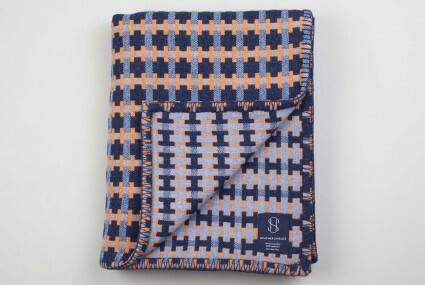 Woven in Scotland using 100% lambswool and the traditional double cloth technique, Heather Sheilds' fabric is twice as thick with a soft, luxurious finish. 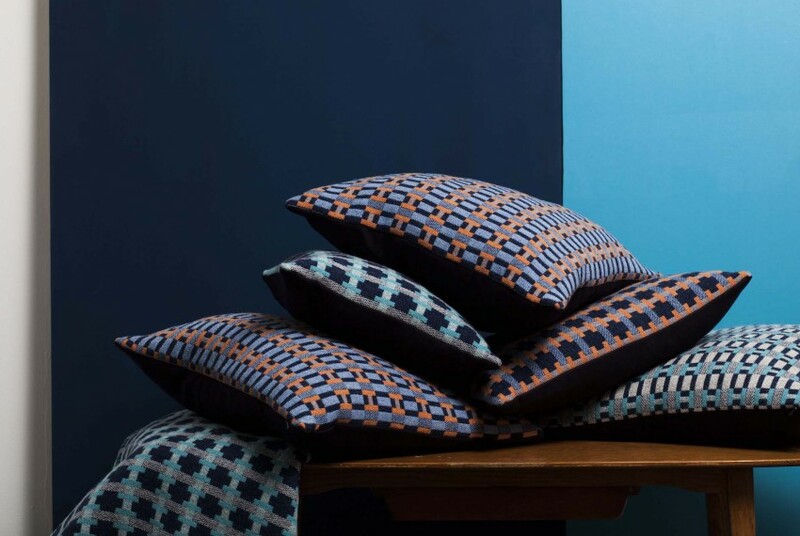 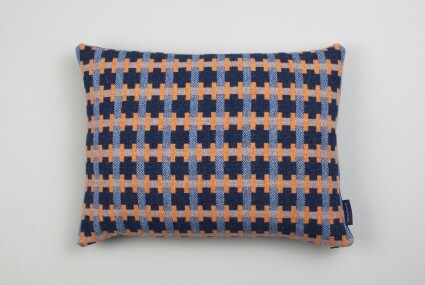 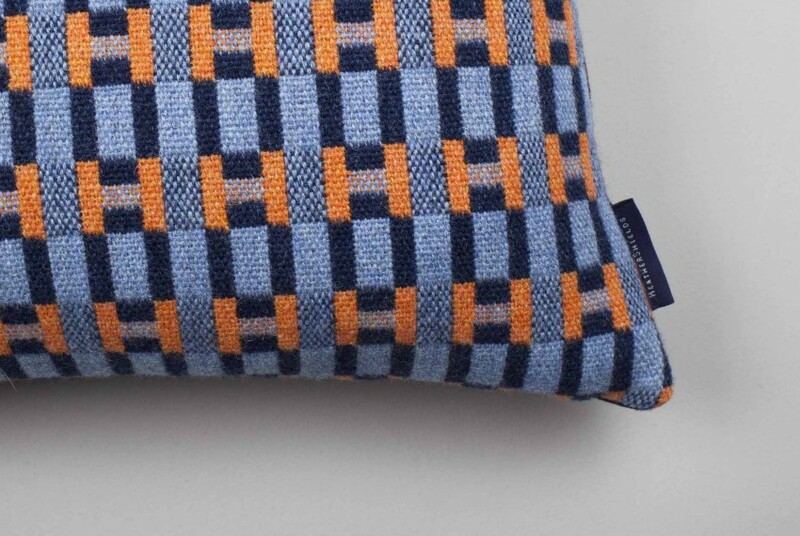 The reverse of the cushion is made from a navy fabric comprised of 70% wool and 30% polyester. 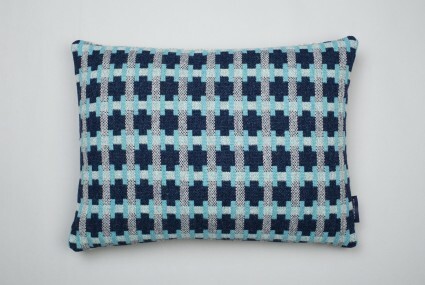 Each cushion is handmade and finished in Heather's home studio and is supplied with a duck feather filled cushion pad.